When I came in as Senior Symposium Editor for the Journal of International Law and Politics last spring, I luckily already knew not to be fooled into thinking that planning something as deceptively short as a one-day event is a piece of cake. After all, as previous summer employment, my work with undergrad student groups, and reading The Hunger Games had taught me, it’s important to try to be ready for anything that can happen, and that requires a ton of preparation. Planning my journal’s symposium on human rights presented its own unique challenges, but was worth all the work, and gave me interesting insight into the world of academia. For one thing, I enjoyed getting to correspond directly with some great people in the world of human rights. The speakers who attended have amazing accomplishments, and I found it refreshing to put a human face to names I had heard so much about. Also, I liked that I had a chance to shape an event from the ground up so it’d be the unique contribution to the Law School that I envisioned. A guiding question for me was “What sort of event is going to get me out of bed on a Friday morning when the weather is terrible and I’ve been in classes all week?” (Two caveats: 1) The weather turned out fine that day—major relief. 2) The threshold for this question is higher than I’d like to admit, given that I literally live across the street from the academic buildings.) For example, it was empowering to have the freedom to add in a debate to the day’s events based on my own interest in watching academics battling it out (and I thought hopefully other students would enjoy this, too). 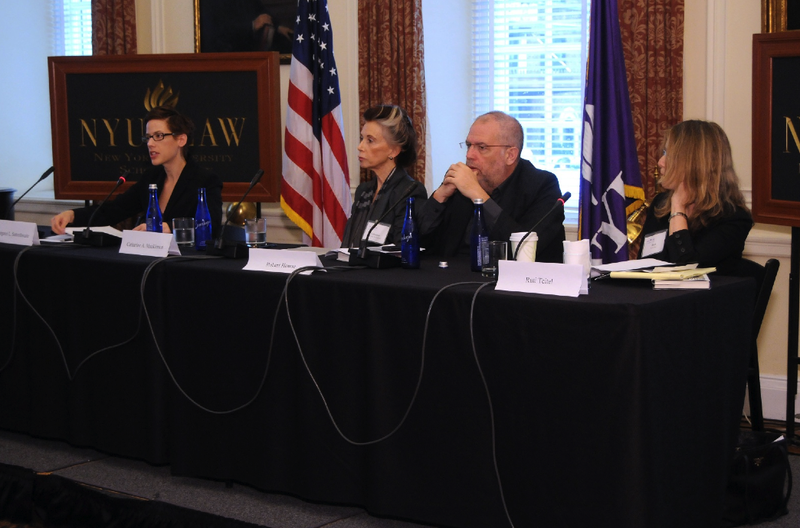 One thing that was tremendously helpful was having NYU Law faculty and administrators who provided guidance along every step of the way, as well as having a very dedicated, supportive group of peers who were there by my side the entire day, completely willing to do the million tedious tasks that sprang up. Together, we created an event that I feel very fortunate to have been a part of. This entry was written by Amanda Ploch '12 and posted on March 08, 2012.